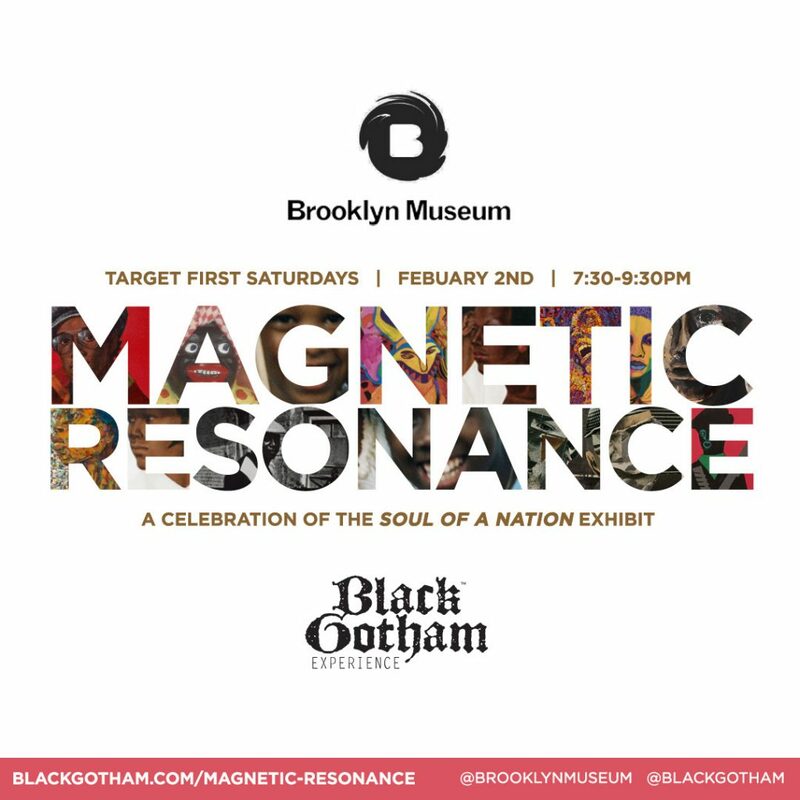 Magnetic Resonance draws inspiration from the Soul of a Nation exhibition for a participatory artistic endeavor through a series of simultaneous happenings. Participants become art and artifact in a social gathering that brings a lens on the moment to create images that exhibit the Soul of our Nation today. Music, imagery, and style braid to create a soulscape, a portal, a continuum of Blackness as an aesthetic and source of power. Photography Portrait Studio with Kamau Ware; Styling by Charles Johnson; Music by GoodWill, P.U.D.G.E., and DJ Rimarkable; Video collage by Kearaha Bryant; and a few special guests.